CHUCKY. 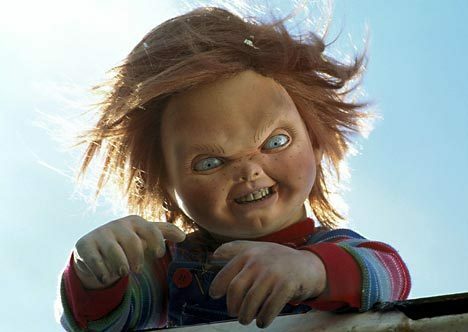 jlhfan624 influenced me to share some of my Chucky mga litrato :) Hope you like them.... Wallpaper and background images in the nakakasindak na pelikula club tagged: horror films stills slashers chucky the killer doll tiffany glen child's play photos horror movies murder. This nakakasindak na pelikula photo might contain portrait, headshot, and closeup. is that from Child's play 3?! It is from Child's Play 3. Why? @Puppetmaster111: I think so. If I'm not mistaken I believe it's at the part where Chucky kills the Garbage Man.